It really isn’t their fault. The Russel Williams Restaurant has been serving up delicious breakfasts for many decades . Unfortunately the moniker for their shop is the same as that of the stalking fashion categorizing killer Colonel Willy. 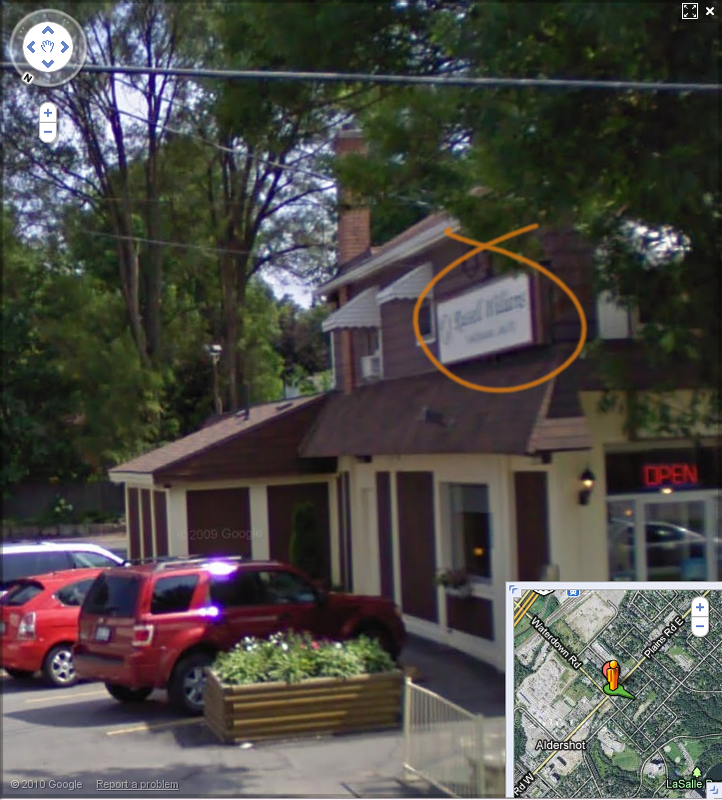 In a typically Burlingtonian display of support for our troops the owners will be renaming the Colonel Russel Williams Restaurant to either the Paul Bernardo Bistro, or the Clifford Olson Cafe. In light of the upcoming name change the Russel Williams Restaurant will no longer be delivering their famous breakfasts directly into the bedrooms of their patrons, and they will abandon their tight staff uniform requirements.